You cannot expect a good response from the direct mail aspect of your campaign unless you are working with good quality data. It doesn’t matter how good your material is; even if you have brilliant design and text that delivers your offer in its best possible light. Unless your database is clean, you’ll be wasting money. Have you checked for duplicates? If you’ve ever been on the receiving end of multiple copies of the same mailing, you’ll know how off-putting this is. Have you checked incorrect addresses and put your data through suppression files to weed out people who have moved, or are now deceased? Imagine how you’d feel if you received mail addressed to a loved one you’ve lost, encouraging them to use your services or buy your products. It’s bad enough to have to deal with mail for a person who previously lived in your house. Then if you were that person and the mail finally reached you by a roundabout route far too late for you to do anything about it, you probably wouldn’t be too pleased. The idea is not to alienate loyal potential customers, but to make them consider their next purchase with you or take whatever other action you suggest. The chances are that if you have one or two of these errors, your data will be littered with them because it hasn’t been cleaned. You certainly won’t get the response you are looking for. The income you generate could be drastically reduced and your marketing budget will not pay for itself. Cleaning your data correctly can be costly and time consuming unless you have the right tools for the job. An investment in data quality web services will quickly pay for itself. If you buy a list, find out first if it has been cleaned of duplicates and address checked. Do not just accept this as fact – subject it to your own merge-purge software before you use it. It’s far better to treat all data at the point-of-entry to your system rather than try to clean it up later. You can often get access to data cleansing services for a trial period so you can test it with your data before you commit. Another viable option is to send the data to a reputable data quality vendor and have your lists cleansed, standardized and returned ready to go. If you can trust your data you’ll save the associated costs wasted on sending items that are undeliverable, or sending multiple copies to the same address. 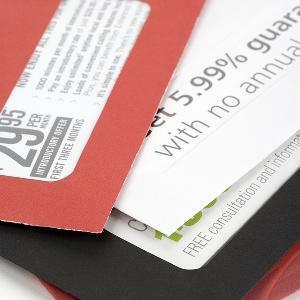 Postage costs are rising significantly and it’s unnecessary to spend more than you must. Furthermore you will protect your brand’s image, which can suffer by an apparently careless mailing. And of course, you can expect a much better return on the costs of your campaign.